It is now officially Spring! I hope everyone had a nice Vernal Equinox. Did you run around outside picking flowers and dancing? I didn’t either. 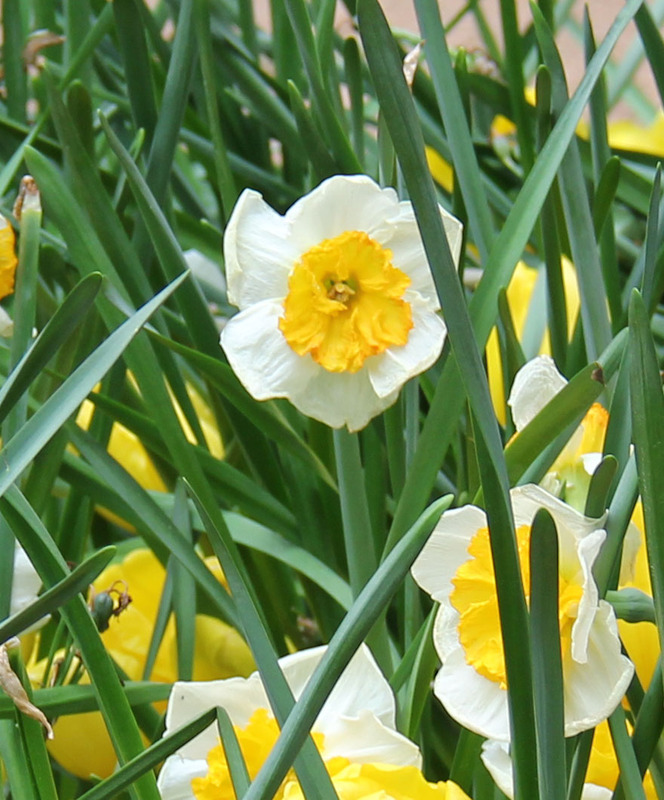 Have you planted all of your spring flowers and gardens? Again…me neither. However, I have been walking. I have walked around my neighborhood, I have walked at Bayou Bend, I have walked around the grounds at Rienzi. I have observed nature and art. Yes, sometimes nature is art and sometimes art is nature. Think about it.……you’ll get it. 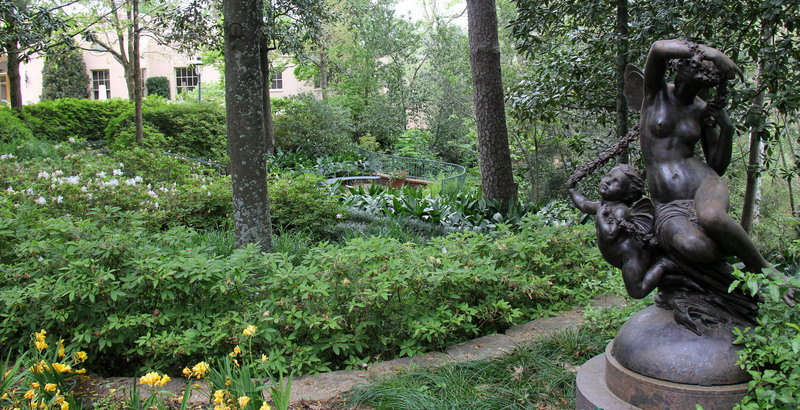 I may not have planted any spring garden, but the fabulous people who work for the Museum of Fine Arts have put a lot of work into the Gardens at Bayou Bend and the Rienzi. 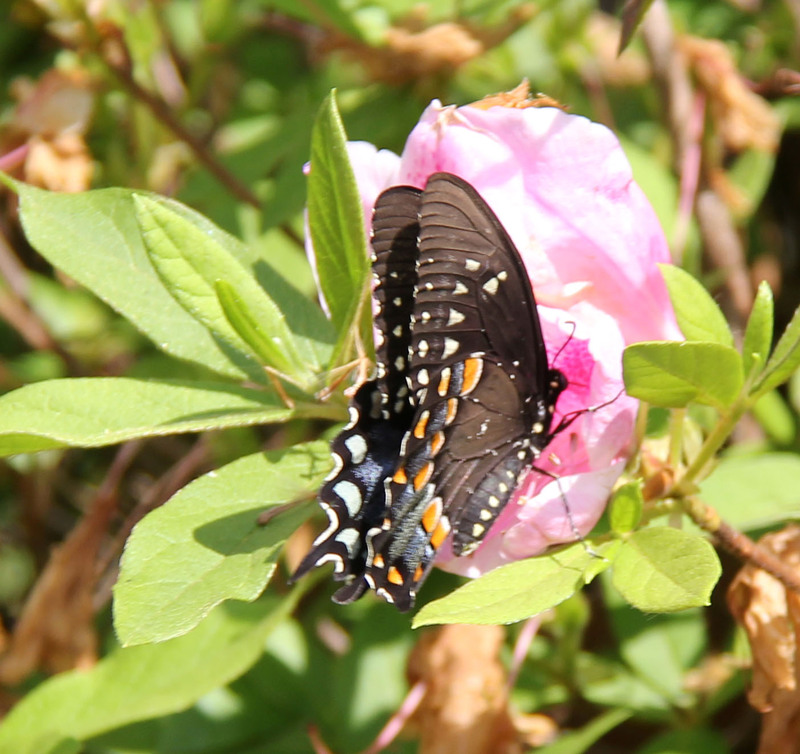 As you can tell I walked among the Goddesses and Muses (great inspiration for writing) and took lots of pictures of flowers and butterflies. 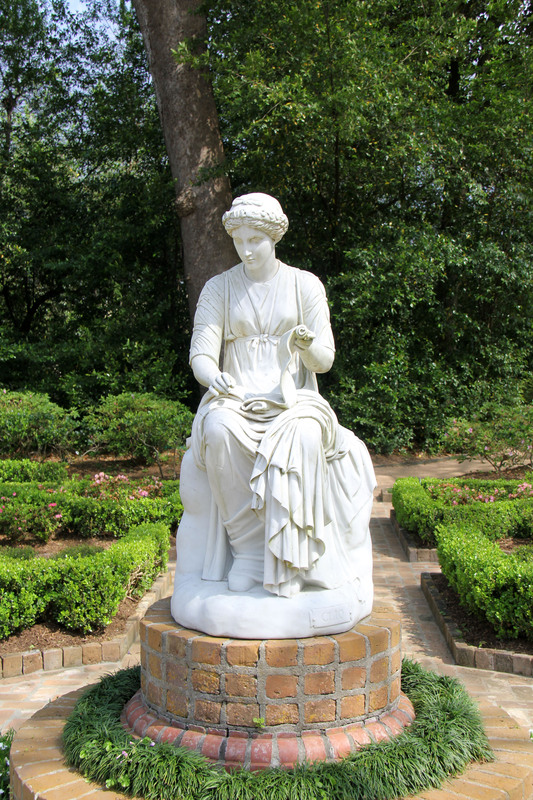 For those of you who are not in the know about Houston culture, Bayou Bend is owned by the MFAH and showcases the home and gardens of the Great Dame of H Town, Miss Ima Hogg. Yes, for anyone who is not knowledgeable about Houston culture, this was a real woman (stop that giggling now!) who had lots of money and spent it on a beautiful home, the Houston Symphony, the Houston Ballet, among other things. I can paraphrase the line from the movie Steel Magnolias and say that Miss Hogg “had more money than God” and I don’t think she wasted a penny. When she died, she left her home full of art works and antiques to the MFAH. The ongoing success of the Houston Symphony and Houston Ballet speak for themselves. The Rienzi is another such home that is also located in River Oaks. Formerly the home of philanthropists Carroll Sterling Masterson and Harris Masterson III. 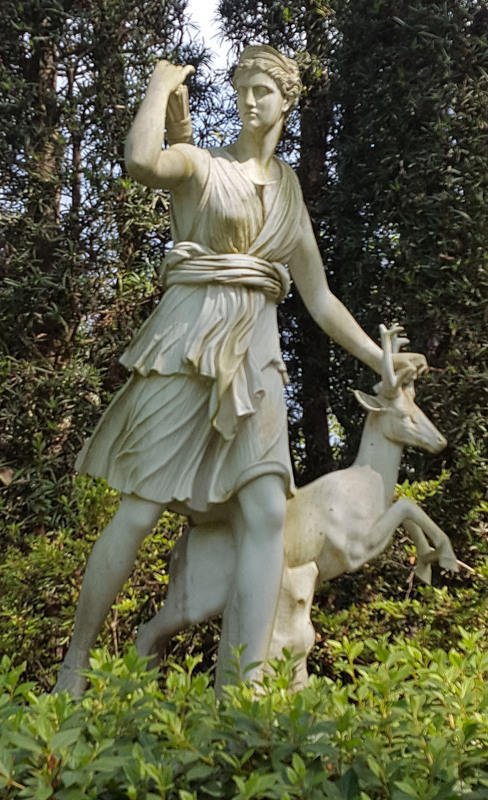 I don’t know as much about them as I do about Miss Ima Hogg, but they also left a beautiful home full of art and antiques plus acres of beautiful gardens to the MFAH. The exciting part about all of this walking is that I feel really good! I have successfully survived gastric sleeve surgery, losing weight and can get up and move! I am literally having a Spring Fling! My once upon a time arthritic knee is MUCH better. I first started going on long walks when I was about 12 years old. You know, that age when just no one understands you and you almost sprain a muscle in your face from your eyes rolling so much at everything everyone tries to tell you? Just gotta love those preteen years. And yes, I was just that kind of preteen. Yes, I have matured much since those days. No…really! Anyway, I would go for long walks around the neighborhood. There was a shopping center and an 18‐hole golf course. Lots of places to walk around and get lost in the scenery and sort out my pubescent thoughts. Mom and I both had a nice break from each other. My siblings never followed me on these outings. What’s not to love. Besides, it doesn’t cost anything to walk. Except there is sometimes an admission fee. It is actually good for you. Except for when the refineries in Deer Park are on fire and the air is filled with smoke and benzene. Don’t forget to breathe deep! 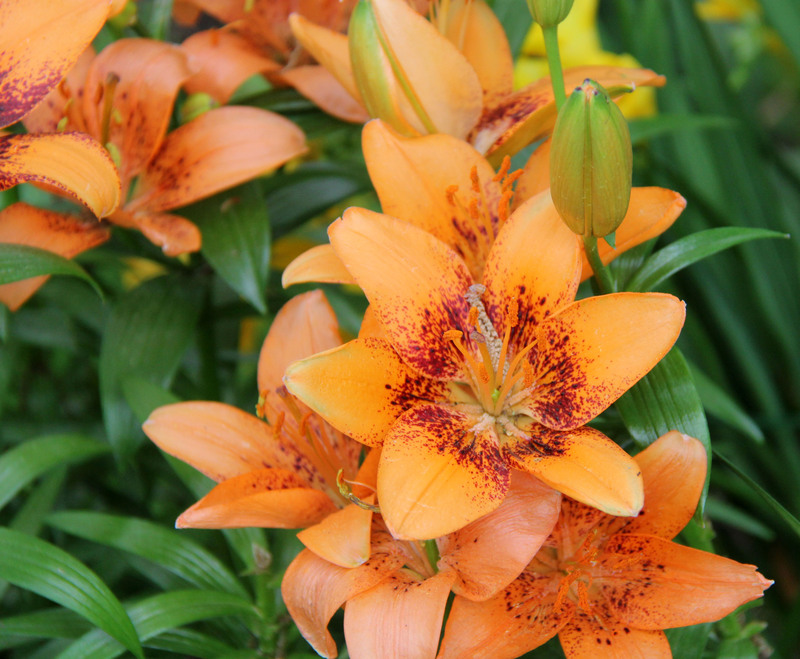 So, I hope you have enjoyed all of these pictures of flowers and springtime. Soon enough it will be summer and hurricane season and it will be 100 degrees in the shade.……you get the idea. I am going to walk as much as possible until that time gets here! I thoroughly enjoyed your walks, the pictures and am motivated to get out more! Previous PostPrevious Call Me Silver‐Haired Devil? Next PostNext Rome & Rental Cars: a Sweat to Remember?